I've realized the weather truly affects my choice of color. In the winter I wear so much black, grey, and lots of neutrals, but since the sun came out and we've had this beautiful warm weather I haven't been able to pull away from all these bright fun colors! 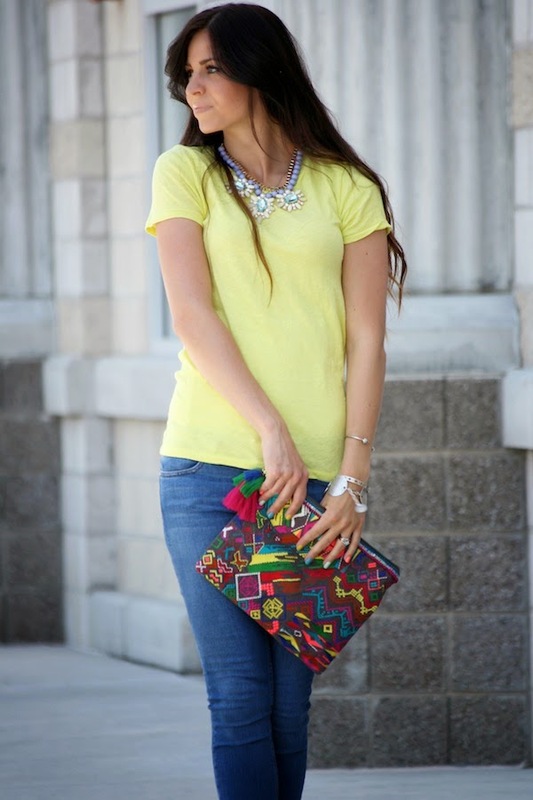 Yellow is by far a favorite and I may have got this same color tee in a few different styles! I also can't get enough of this clutch and take it everywhere! It may not be the best 'diaper bag' but I can still enjoy a few "me" things from time to time! I hope you all have fun plans for the weekend! TGIF! You look gorgeous! 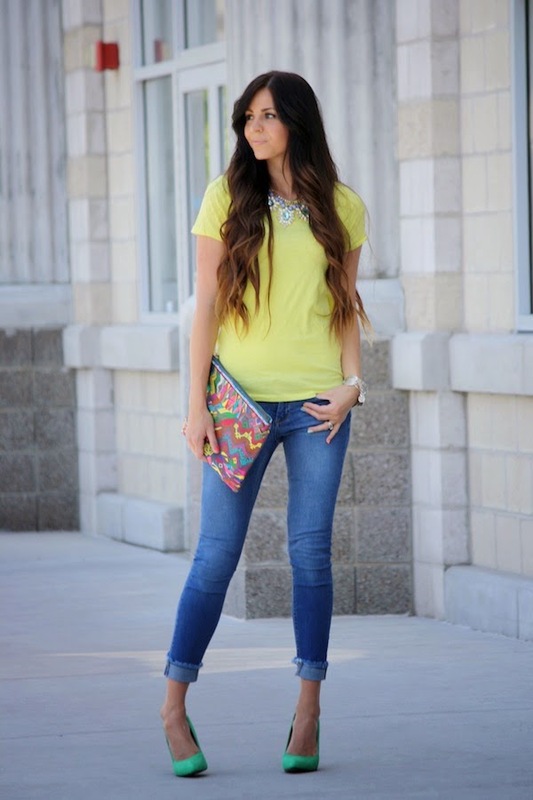 Love that clutch:) I did a clutch run down on my blog this week-check it out! We love your outfit, it is perfect! 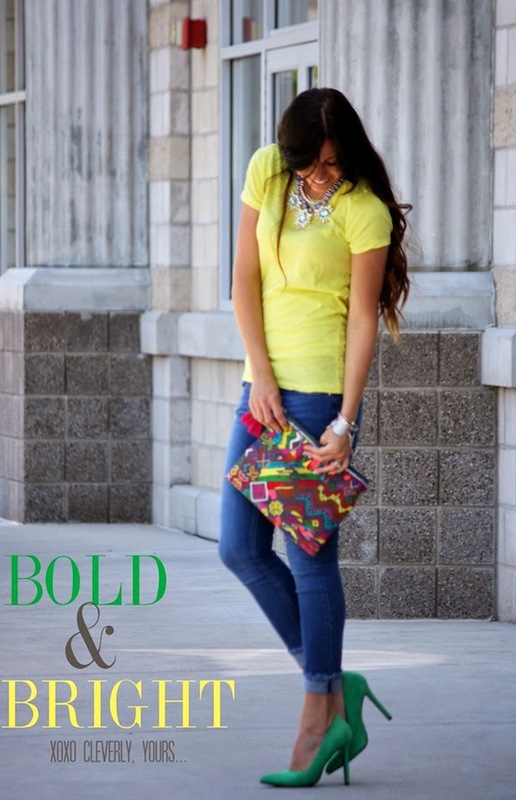 Love the bold colors! That clutch is gorgeous! Such a pretty color combo! Perfect for a casual look! In love with that ASOS clutch. perfect !